What exactly does Hand to Hand do and how would I use it? Does Inspire trigger by "untapping" a creature that's already untapped? Can I use Yeva, Nature's Herald's effect immediately the moment she is summoned? Why don't you have Maze of Ith in this list? You had mentioned how you want combo pieces to be "versatile" (never dead) and have cheap mana costs. If you already have Argothian Elder then why not add the combo with Maze of Ith ? Played the first two games last night. Game one: The deck proved very resilient for the most part. The exception was global graveyard hate coming from one player. We all ganged up on him and the deck pulled through for the win. Game two: The deck stalled at three mana and a Maze of Ith until it was too late for a comeback. I might need to add some smaller mana-rocks or dorks to speed things up. The deck might also need a little balance toward low-cost artifacts to swap out. I love this idea. Looks like a fun deck to play. 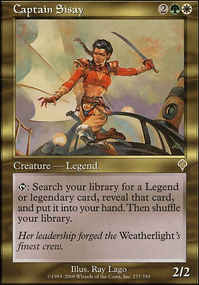 I run Samut in my Naya deck, Hazezon Muad'dib: Dune-Inspired EDH, and her untapping ability is particularly potent with Captain Sisay and Knight of the Reliquary . While neither provide protection overtly, both can dig for the many cool tools that this deck already contains. Maze of Ith and Glacial Chasm both seem to fit the theme of this deck well! Oh and might wanna try out Kor Haven and Maze of Ith . They're pretty good lands if you wanna protect your walkers. Hey Joe it's Owen! I helped my buddy Ryan build a Windgrace deck a few weeks ago and it reminded me to take a look at your list and throw some suggestions your way (up to you if you want to heed them, of course). 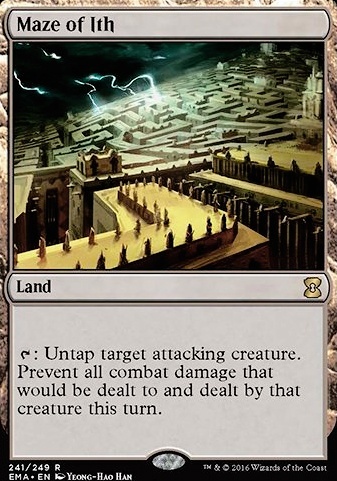 So one of the first things I see when I look at your list is that you're missing one of the key things to Windgrace's land recursion ability: utility lands. Strip Mine and Glacial Chasm are huge stars in the deck since you're able to bring them back to field with either Life from the Loam or Windgrace's -3 ability. 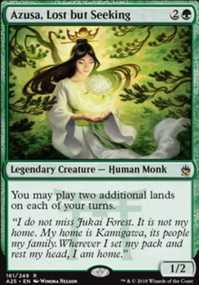 Paired with Wayward Swordtooth and other effects ( Azusa, Lost but Seeking , Oracle of Mul Daya , Exploration ), you can use strip mine to blow up 7 or more opponent's lands per turn. 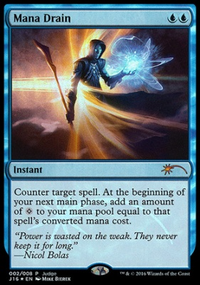 This puts you at a tremendous mana advantage and lets you eliminate pesky things like Tyler's Maze of Ith (a card you could run in here as well to prevent Windgrace from dying) or Lotus Vale (another card you could run since you'll just get the sacrificed lands back). I would like to point out that Glacial Chasm is even better. This land prevents you from taking any damage. 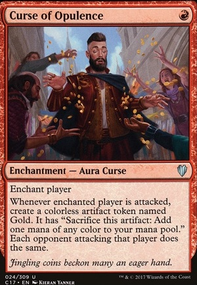 You have to pay (cumulatively) 2 life in your upkeep but instead you could sacrifice it in upkeep and then bring it back to field with Windgrace or Ramunap Excavator or Crucible of Worlds . By the way, Crucible of Worlds would be very good to run here. It's great that you have The Gitrog Monster in here, because this is basically the Lieutenant of any Windgrace deck. You should run Dakmor Salvage here, as well, since you can dredge that land when it's in your graveyard (dredge meaning instead of drawing you can put that card from your graveyard to your hand and then mill however much). 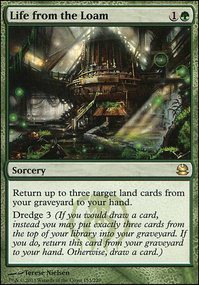 Dakmor Salvage has dredge 2, so lets say that in upkeep you have to sacrifice a land to the Gitrog Monster. You choose to sacrifice Dakmor Salvage, which hits the graveyard and thus triggers the Gitrog Monster to draw you a card. Instead of drawing, you then choose to dredge Dakmor Salvage and return it to your hand to mill 3. If you mill 3 lands off the top of your deck, you get 3 more Gitrog triggers to draw cards. This is incredibly useful for drawing through your deck and getting to your win conditions. Paired with a discard outlet such as Borborygmos Enraged or Noose Constrictor you can actually draw your entire deck (or in the case of Borborygmos, draw your entire deck and then kill everyone with it). Either way, Dakmor Salvage is an incredible piece that you should run in here and is only like $2. Also, have you ever noticed how you create giant creatures like Multani and Zendikar Incarnate in here but someone always has ways to block them or Maze of Ith to prevent combat damage? Say goodbye to those days if you pick up Jarad, Golgari Lich Lord . 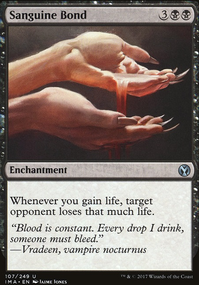 Instead of being forced to swing out one at a time with your big creatures, you can activate Jarad and sacrifice Multani to him, causing each opponent to lose life equal to Multani's power (which tends to be big). The great thing here is that you can just replay Multani from the graveyard! And if you mill Jarad, he has an ability that lets you play him from the graveyard, as well! So the more you mill with cards like Dakmor Salvage, the closer you could get to assembling this kind of a win condition. Note here that Lord of Extinction is another great card you can use to sacrifice to Jarad, Golgari Lich Lord since its power/toughness will be equal to ALL cards in ALL graveyards. This creature tends to be bigger than 40/40 in a windgrace deck, so count on killing every opponent at once with one Jarad activation with this creature. Speaking of big creatures and dredge, Golgari Grave-Troll is another great card to run in here. Lastly, you wanna make sure that out of your 99 cards you get exactly what you want in your graveyard. There's some cards that can do that for you. 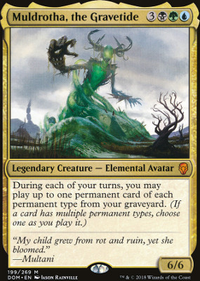 Entomb and Buried Alive allow you to fetch Jarad, Golgari Lich Lord , Multani, Yavimaya's Avatar , Dakmor Salvage , Life from the Loam , etc. and put that into the graveyard. Expedition Map and Scapeshift allow you to get the exact lands that you want (scapeshift gives hella landfall triggers for your creatures), and Animate Dead and Necromancy can allow you to pull your creatures back out of the graveyard when you need them. Again, these cards are just some suggestions. But you've been playing Windgrace for a while now and I thought I'd toss this info your way! Love the look of the new Orzhov deck and how interactive it is. See ya thursday! Tiny_Sir in response to your earlier question, Maze of Ith is more useful, but Prairie Stream is good if you're running cards like Land Tax and Tithe because it is technically a Plains . 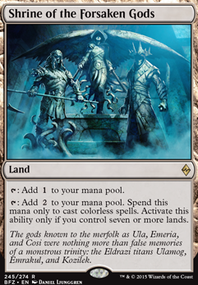 Also, consider Mistveil Plains as a way to recycle your cards.